Different types and textures of cheese call for a diverse set of implements with which to enjoy them all. This clever set from Artelegno is not only highly utilitarian, it's an entertainer's delight. Aside from their common beech wood handles, each tool is unique in design and function. There's the 3-prong Parma cheese fork; a tapered cheese knife and spreader; a slightly tapered tool of medium width; and the grandaddy of the set is an extra-wide cheese chunker and serving spatula. 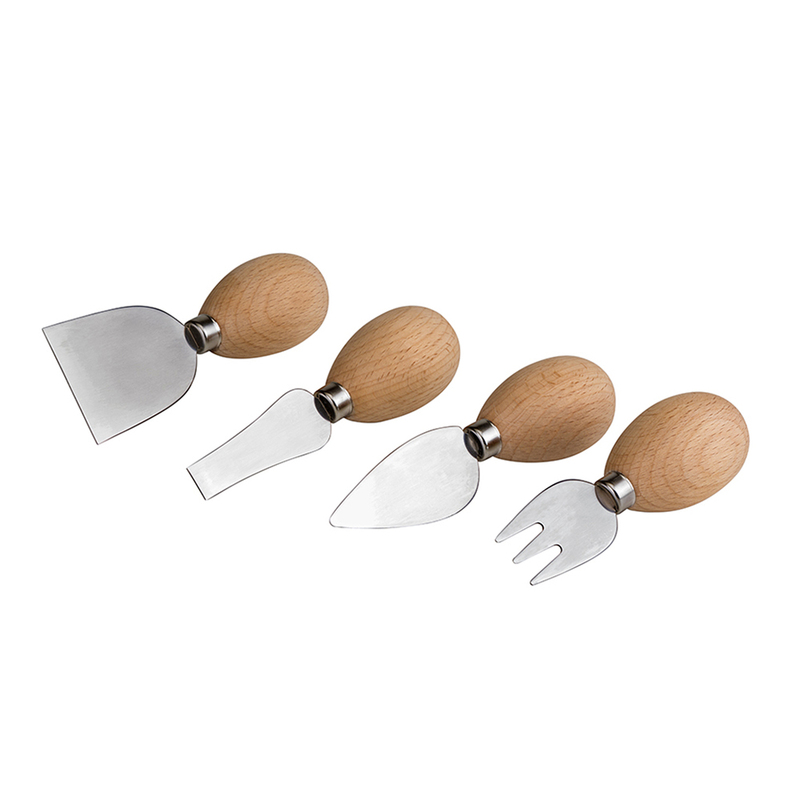 Artelegno also makes a matching beech wood block with magnets on its four sides designed to secure these cute utensils in a central location. 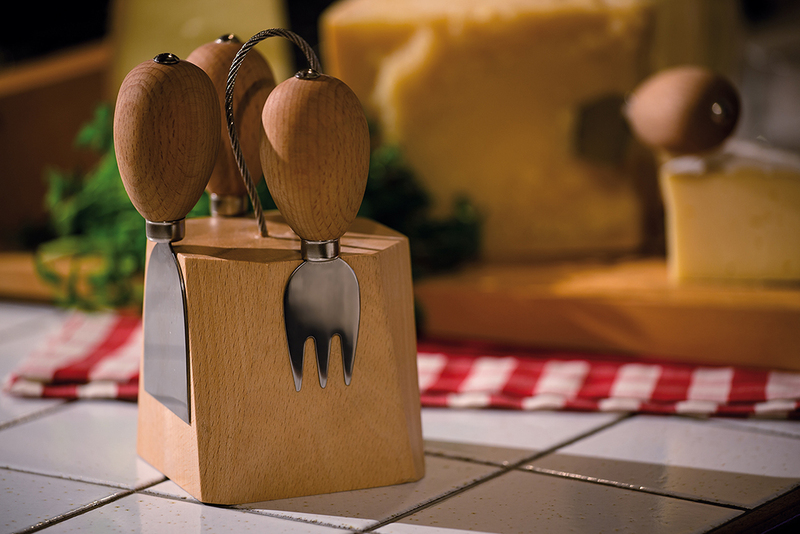 Why not enjoy the beauty and convenience of the entire Parma block and cheese knife set?